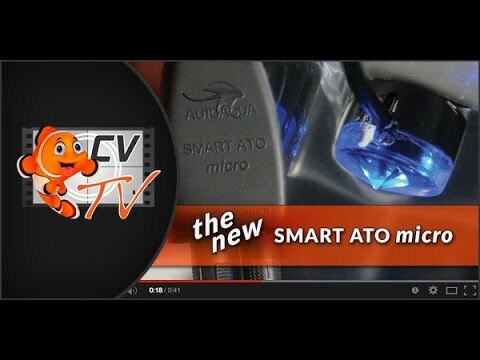 I researched many auto top off systems and decided to purchase the ATO MICRO. When the MICRO arrived, I set up the equipment, according to the directions , which are easy to follow. My reservoir sets next to my sump at the same level. When I moved the sensor above the sump water line the pump came on. Water started up the reservoir and part way over to the sump and stopped moving in the hose( it did not seem to have enough power to move the water any farther in the hose ).. When I moved the sensor below the sump water line the pump stops. I emailed Aquacave with the problem. They emailed back to me telling me that I had to deal directly with their supplier (CORALVUE). Their rep basically told me I didn't know what I was doing. He said I should have cut any excess tubing not needed (not in the directions- we are talking about a tube laying flat on the same plane as the sump and reservoir. I felt he tried to intimidate me into not following directions that did not exist. After hanging up, I cut out all excess tubing and tried the set up again. The pump started, but could not send the water to the sump. Everything works as advertised except the pump. I feel that the PUMP is the problem. I also feel that I am not going to get any help to resolve this problem. OTHER THAN THE PUMP PROBLEM, THE SYSTEM IS GREAT.